Save on Doughs, Shells & Crusts at Rae Of Sunshine Life. 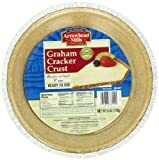 Top brands include Athens Foods, & Arrowhead Mills. Hurry! Limited time offers. Offers valid only while supplies last. 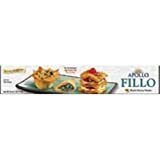 Athens Foods Apollo Pastry Fillo Dough Sheet, 16 Ounce - 12 per case. Athens Foods Apollo Pastry Fillo Dough Sheet, 16 Ounce -- 24 per case.